Mouse is content with one little green pea . . . until he sees the full Thanksgiving spread. One item at a time, he piles up a big feast into his little arms. He’s balancing the bounty great until Cat creeps up on him and in fright, makes him drop it all. Everything is a mess . . . until he spots the little green pea in the corner. Thankful, mouse takes the pea safely home and has his feast, perfectly content! 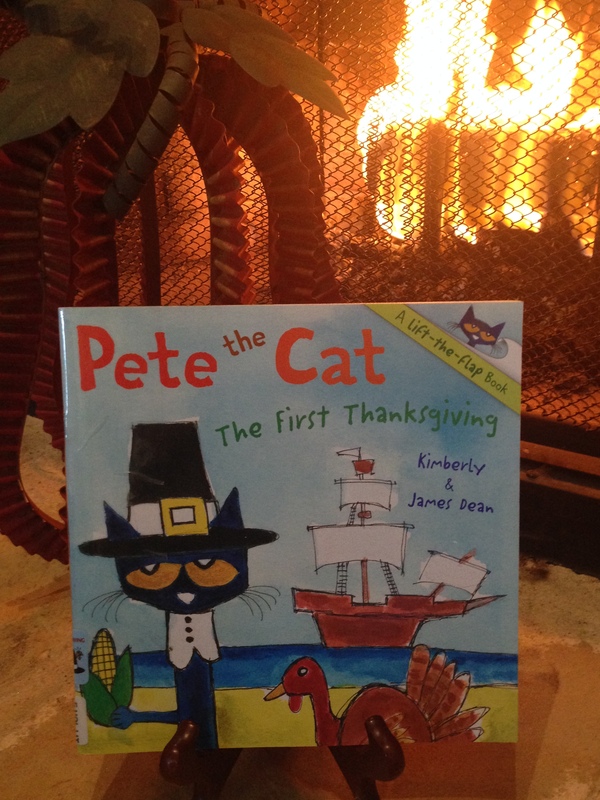 Fun story to teach contentment and the vises of one’s “eyes being bigger than his stomach”! 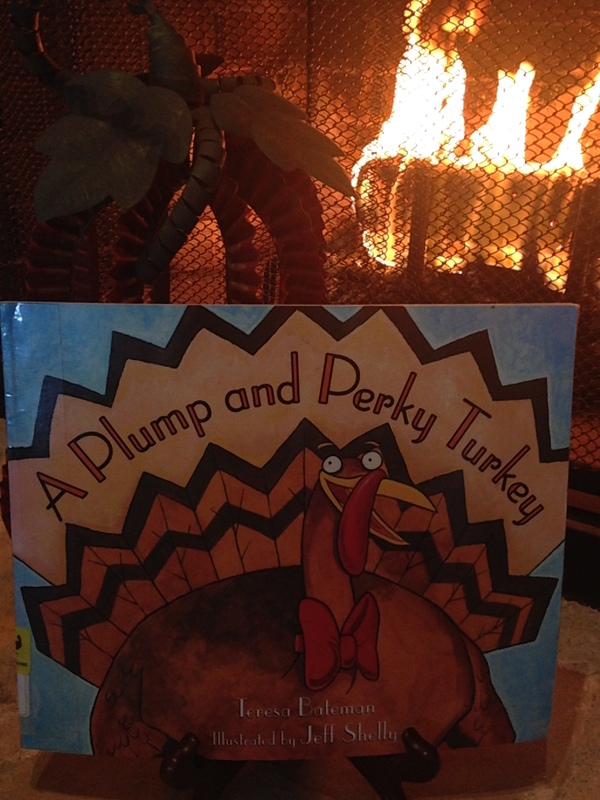 “A plump and perky turkey– stomachs rumbled at the thought. But how to trick a turkey into jumping in the pot? So, they hold an arts-and-crafts fair, and throughout out the forest, they post “model wanted” posters, picturing a terrific turkey. Sure enough, one proud turkey shows up to model. But after posing, he blends in with the turkey art and then disappears! Outsmarting the people, they are left without a turkey for their feast. Creative twist on the traditional Thanksgiving feast! 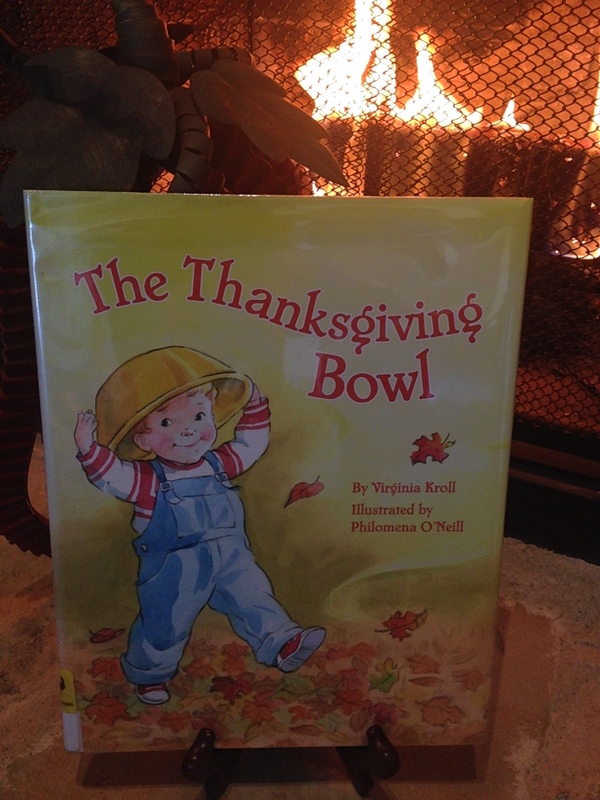 “The yellow plastic ‘Thanksgiving’ bowl sat on the front-hall table beside a pad and pencil so that they all could jot down their ‘I Am Thankful For’ things. At Grandma Grace’s house, besides the traditions of family and food, she also has a fun way for her family to give thanks. From her yellow bowl, she pulls out completed “I Am Thankful For” slips of paper and the family guesses who wrote each one. After their special time together eating outdoors, the yellow bowl is left unnoticed and is carried away by the wind. 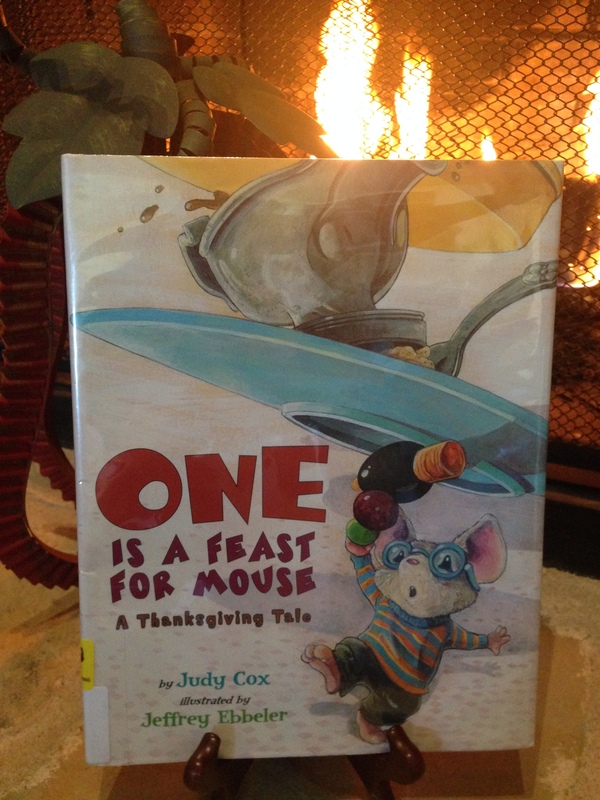 On its journey, it shields a mouse from being eaten by a owl, becomes a snowman’s hat, and much more until it ends up back at grandma’s house just in time for Thanksgiving. Cute circular book that teaches months of the year, creativity, and lessons on gratitude. Dad and Mom have a great talk with their three kids about what Thanksgiving really is all about while cooking dinner and preparing for their guests. From the historical story of the pilgrims to the Biblical story of Jesus healing the 10 lepers with only 1 returning to say thanks, the family explores what it really means to be thankful. When their extended family arrive, they are ready share God’s love with them while enjoying a Thanksgiving feast! Great story to open up dialogue about history, Bible, and life lessons. Autumn artistically unfolds as the leaves fall and leaf man journeys with the wind. He goes where the wind blows . . . past the chickens, over fields of pumpkins, over a turkey, flying over mountains with a flock of birds . . . landing where only the wind knows. As he travels, he takes the shape of what he passes. So, when the leaves rustle near you, look for the Leaf Man. He can be in many shapes and sizes! 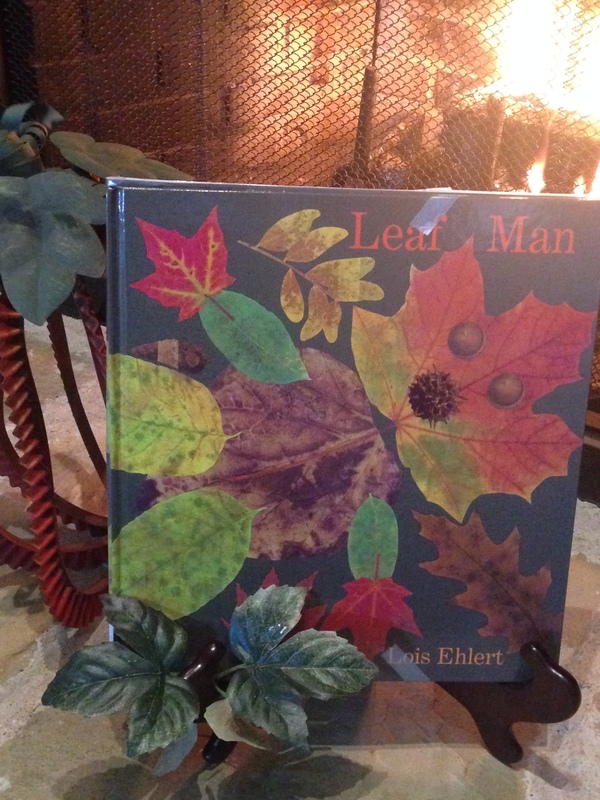 Incredible craft book to inspire your kids to create pictures out of leaves, making their own Leaf Man! 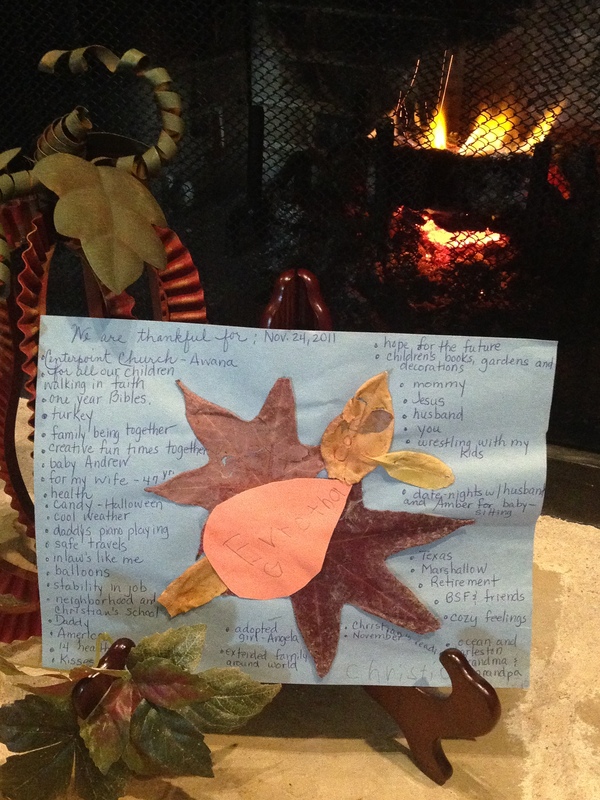 For Thanksgiving a few years ago, we collected leaves and made our own Leaf Man by gluing leaves on construction paper. All around him, Grandma recorded our “I Am Thankful For” list as we went around the Thanksgiving table and shared our thoughts. We still have that Leaf Man, but there are many more waiting to be discovered in our yard and yours! Happy Thanksgiving. Our Thanksgiving Leaf Man, 2011. *Please “Like” Kidsbook Friends on Facebook and subscribe to http://www.kidsbookfriends.com to receive future blog post directly to your e-mail. 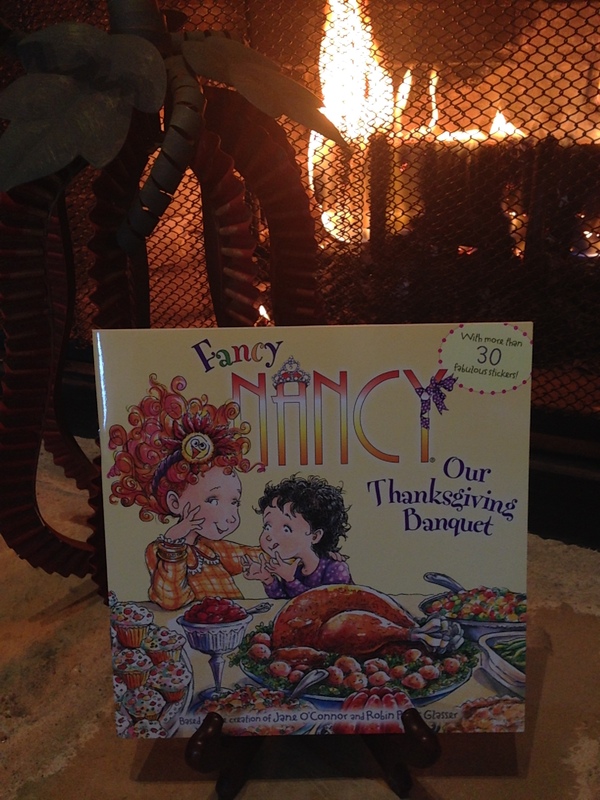 This entry was posted in fall, Thanksgiving and tagged A Plump and Perky Turkey, Harcourt, Harold Myra, Holiday House, Jane Kurisu, Jeff Shelly, Jeffrey Ebbeler, Judy Cox, Leaf Man, Lois Ehlert, Marshall Cavendish, One Is A Feast For Mouse, Pelician Publishing Company, Philomena O'Neill, Terese Bateman, Thanksgiving books for children, Thanksgiving What Makes It Special, The Thanksgiving Bowl, Tommy Nelson, Virignia Kroll. Bookmark the permalink. 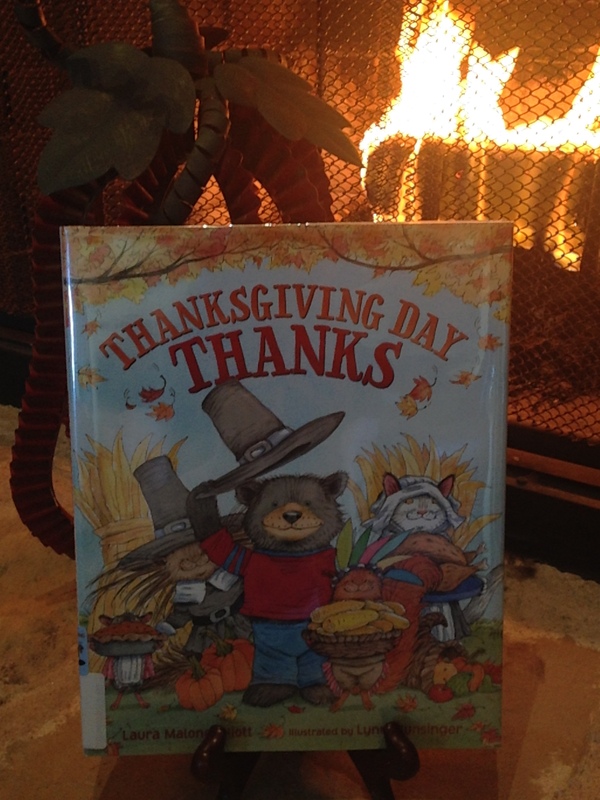 Great Thanksgiving Day book line-up! 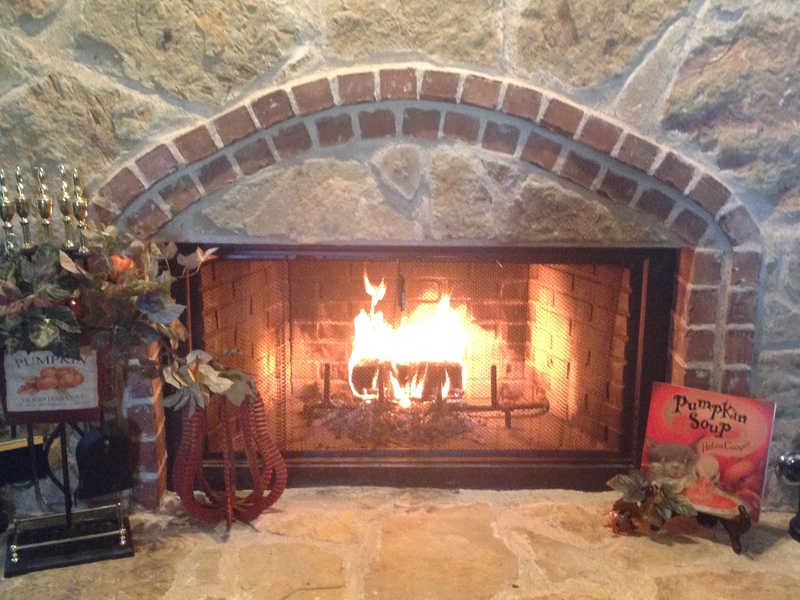 I love how you staged them near the fireplace. We still have snow here in Colorado so I could almost feel the warmth! May I recommend another book? 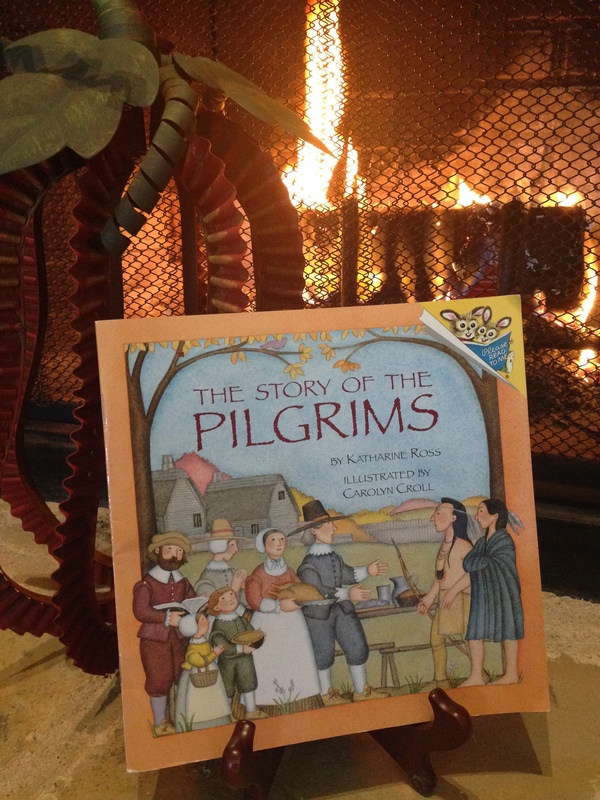 One that I wrote based on childhood memories – The Night Before Thanksgiving. It would be wonderful if you could add my upcoming book, available December 1st, to this list. 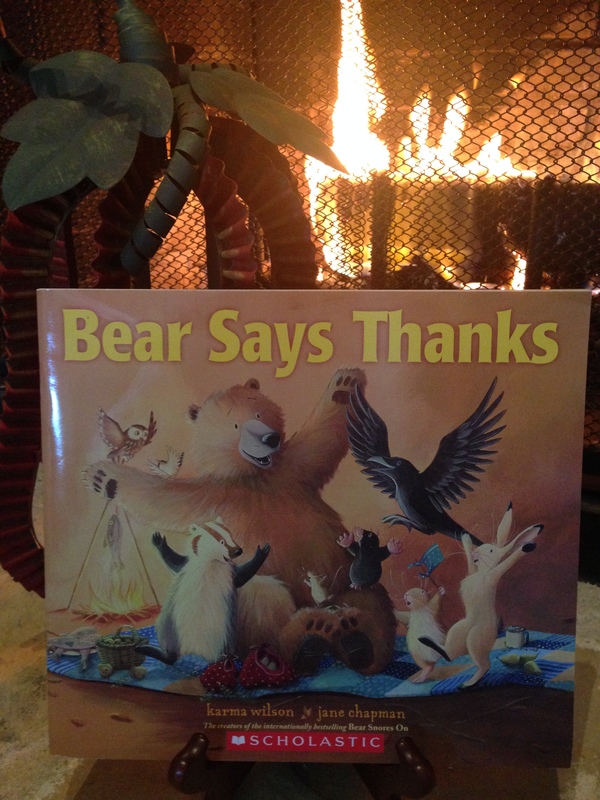 Before I Sleep: I Say Thank You, Pauline Books and Media,2015, helps establish a nightly routine of gratitude. 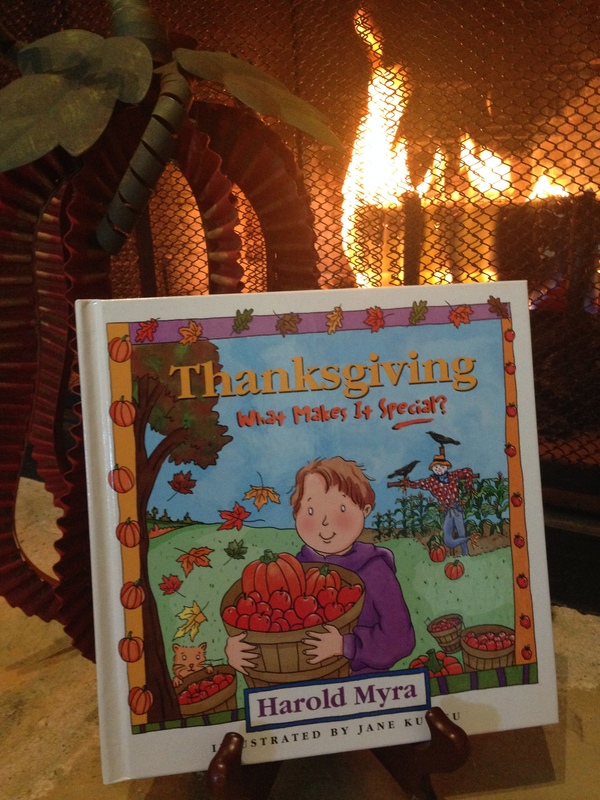 At the end of the book, children will want to offer up their own five things they are grateful for, Thanksgiving and all throughout the year!